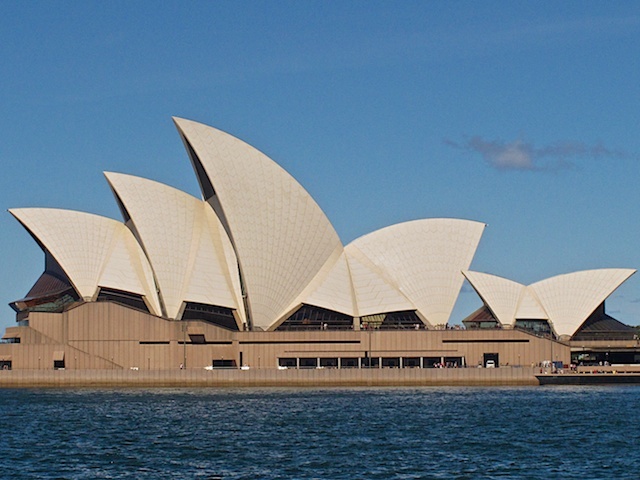 Sydney is the largest city in Australia and enjoys a long and interesting history. 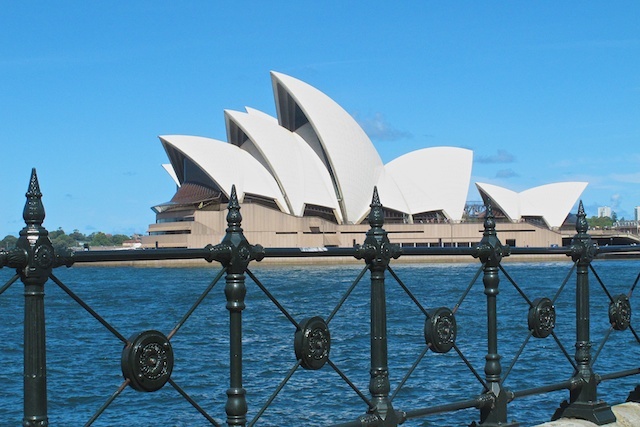 This city is home to 4.6 million people from every corner of the globe and is known for its world-famous Opera House with its distinctive white “sails” and Sydney Harbor Bridge, known as the “coat hanger.” The Aborigines inhabited the area some 50,000 years ago; then in 1788, 11 ships of the first fleet of 758 British convicts landed in Sydney Bay. 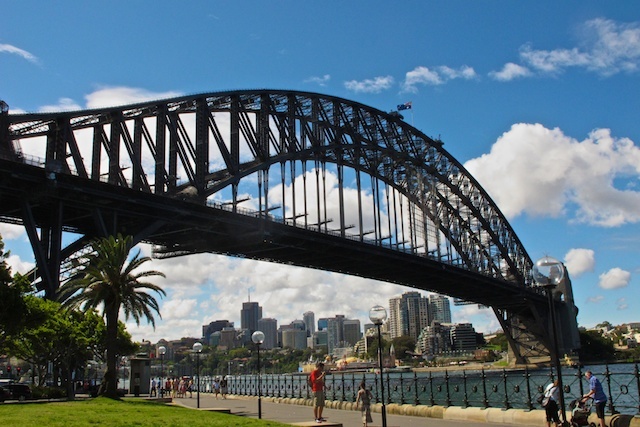 The Great Harbor Bridge carries rail, vehicular and pedestrian traffic simultaneously between the central business district of Sydney and the North Shore. Actual construction of this bridge began in December 1928, after considerable preparatory work, and was completed in 1932, with two sets of railway and tram tracks. The bridge also carries power and telephone lines, as well as water, gas and drainage pipes. The first test train safely crossed the bridge in January 1932. 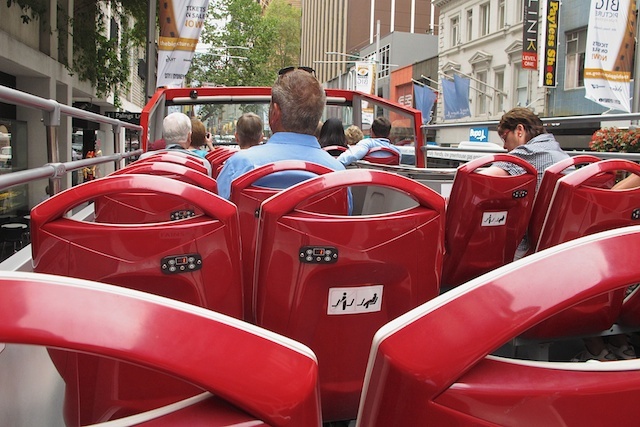 Mary Jane and I decided to use the Hop On–Hop Off buses to acquaint us with the history, sights, sounds, and culture of this metropolitan city. Bright and early Friday morning we were on the first shuttle bus to Circular Quay where we caught the red double-decker bus. 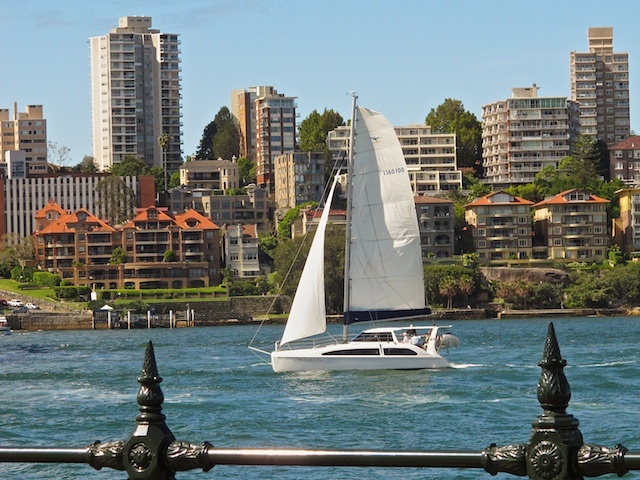 Circular Quay – a popular wharf area where the Radiance of the Seas was docked while we were in port. The shuttle bus drop off point was near here at the Marriott Hotel on Pitt Street. 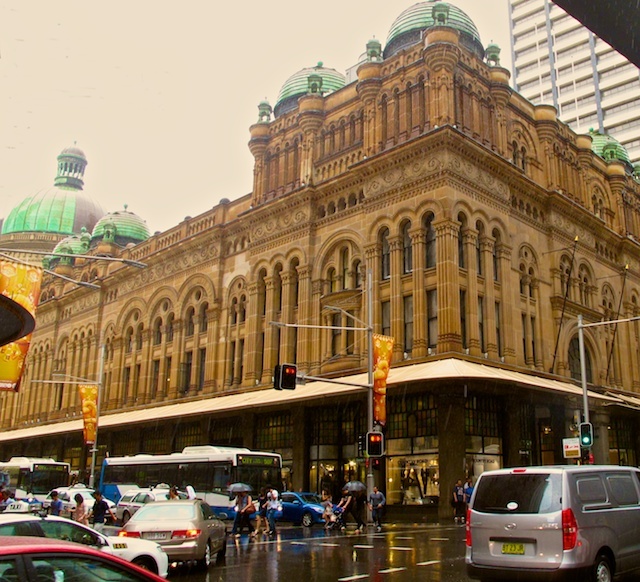 Queen Victoria Building – a beautiful, historic, multi-story Victorian-styled building filled with high-end boutique shops and lots of ambiance. On our last trip to Australia we enjoyed shopping in this facility. 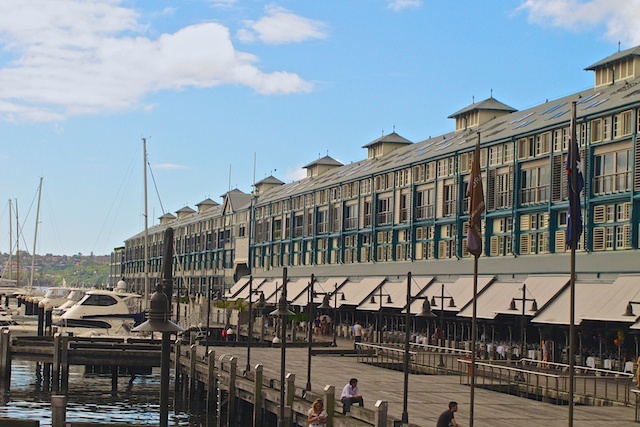 Woolloomooloo is the dock area where the Queen Mary 2 docked and driving by brought back pleasant memories of that trip and some of the friends we made. 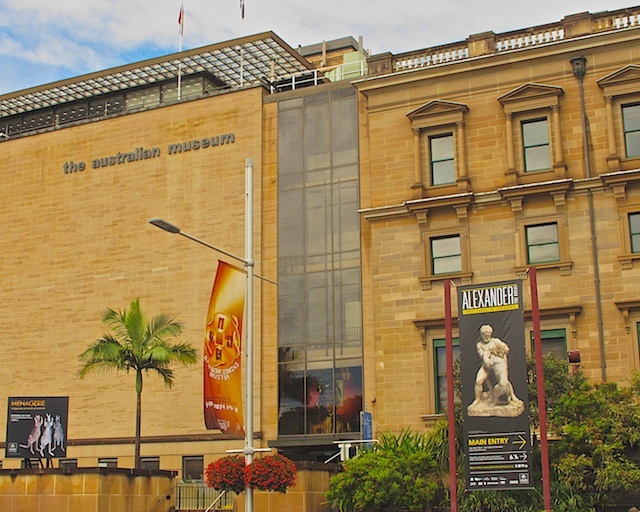 We drove past the Australian Museum and Hyde Park area more than once over our two-day visit. Barb would have enjoyed a visit to the Museum and a walk through the park, but those attractions will have to go on a future visit list. The museum was huge and you could probably spend two days in there. 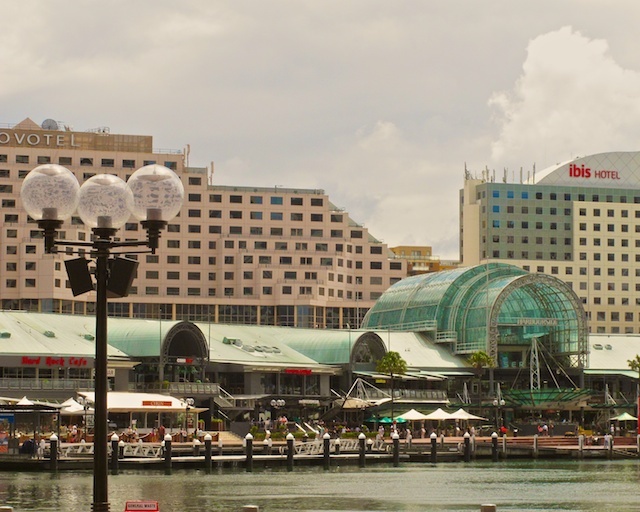 When we got to the lower Darling Harbor area of the city we got off the sightseeing bus and did a little exploring on foot. That area of the city has seen a recent renaissance of development with new hotels, restaurants, convention center, casino, Imax Theater, Maritime Museum, Wildlife Encounter, and the Aquarium. Dock and harbor side improvements have turned this part of the city into a real entertainment center. Along the park side of the harbor, there were a string of sidewalk cafes and bistros. 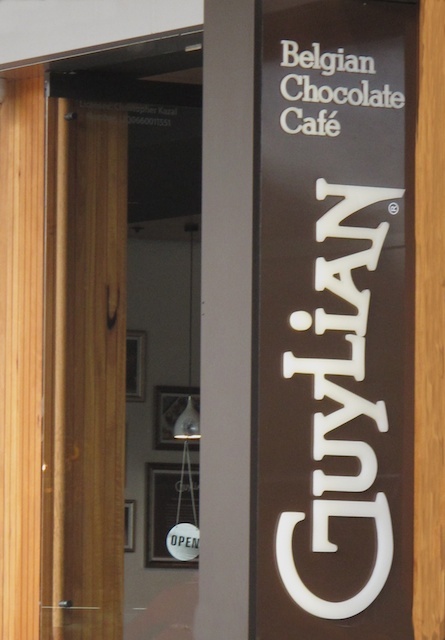 MJ spied one called The Belgian Chocolate Café. 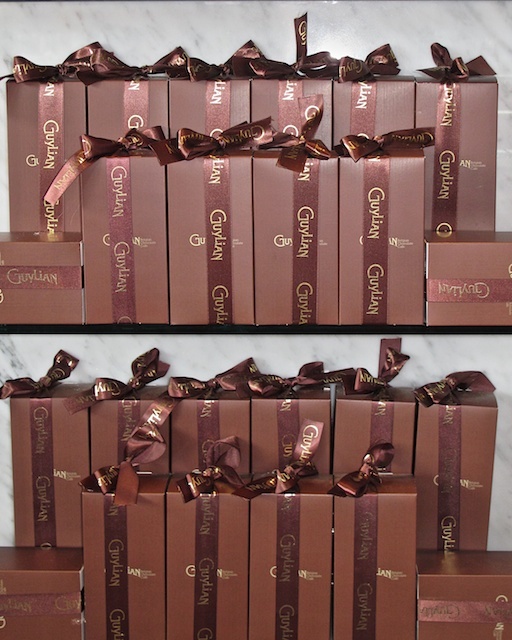 What could be better than a delicious cup of hot chocolate to make the day go bright, especially using Belgian chocolate? We each ordered a dark chocolate hot chocolate. It came with a big cup and a hot metal pitcher for each of us filled with the steaming brew. Inside the cup was a dark chocolate seahorse just waiting to be melted with the hot liquid from the pitcher. It was delicious!!! And just hit the spot. 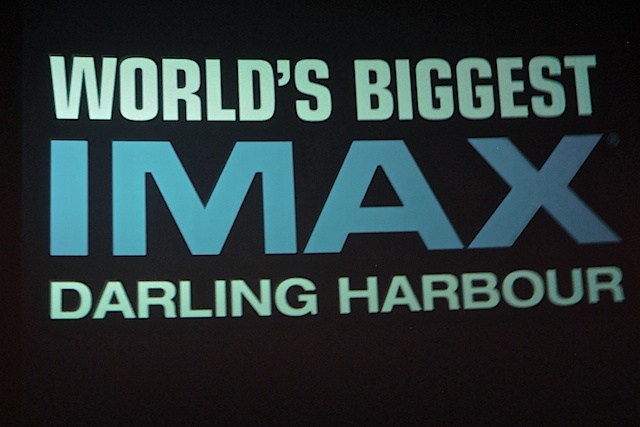 Barb had never seen an Imax movie so we watched a short film on Shackleton’s unsuccessful trip to Antarctica. 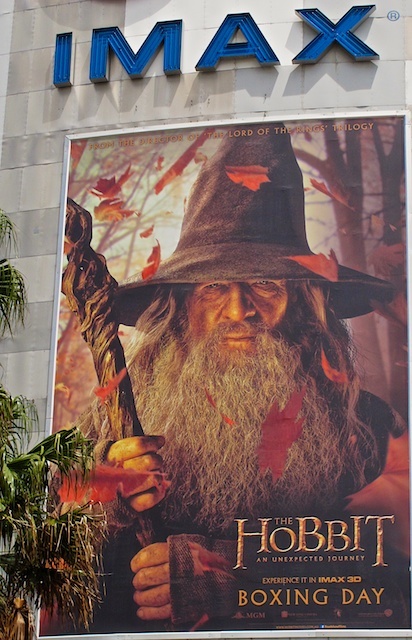 The theater was also showing the first in a series of three new Hobbit movies, but our schedule did not allow us time to see the longer feature. We also visited The Rocks that is a precinct of narrow cobblestone laneways and former merchants homes, which now house galleries, restaurants, boutiques, and souvenir shops. 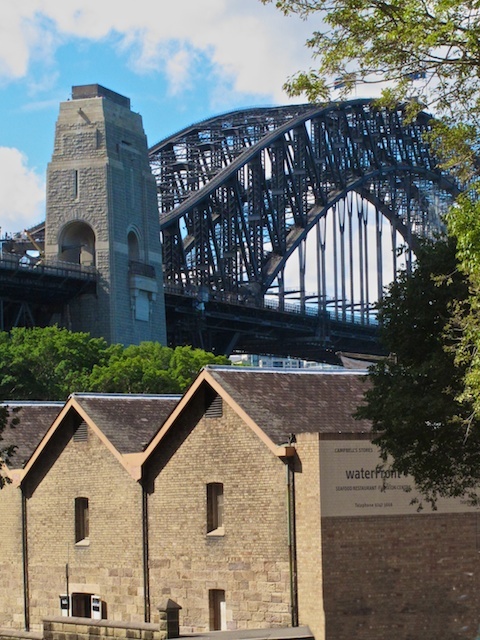 After the initial 1788 settlement of Sydney this area became the residential quarters of Sydney’s convicts and also an area known for congregations of inebriated sailors and whalers, cut throat gangs, ladies of the night and rat plagues. Rocks taken from an island in the harbor were used to construct the initial buildings in this area. 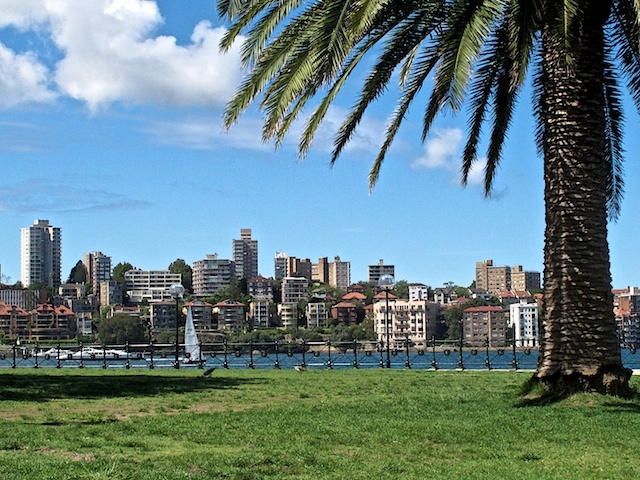 There were many historical sites to discover in The Rocks, and the harbor area park was busy with lots of people walking along, enjoying the lovely weather, and watching both the scenery and people. Historic hotel pubs were plentiful and charming, but we chose street food instead. MJ had a roasted pumpkin wrap with spinach, feta cheese, pesto sauce and walnuts. Barb settled for a meatball wrap with spinach, cheese and spicy tomato sauce. 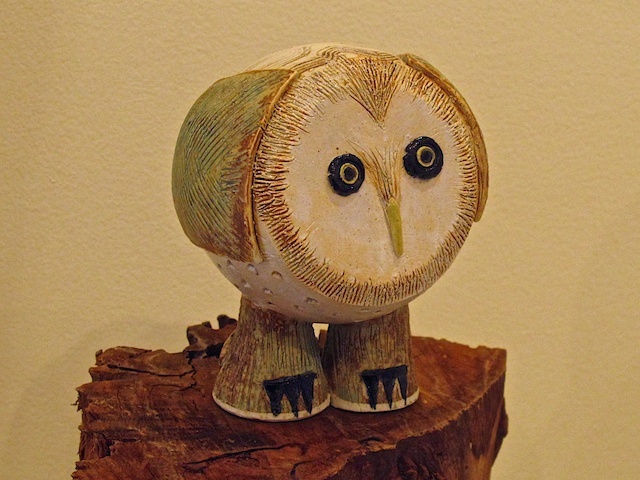 Mary Jane was intrigued with a display of aborigine art and learned about their carved memorial sticks; and we also enjoyed the merchandise in a local craft maker’s gallery. 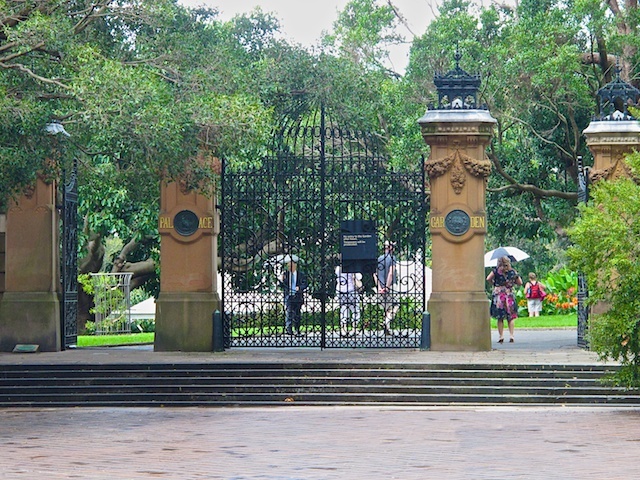 The Society of Arts and Crafts of New South Wales was formed in 1906 and since then the profits earned by the group were used to purchase an ambulance and during WWII members worked with the Red Cross teaching craft to injured soldiers. We had planned to return to the Rocks area for the street market on Saturday, but never made it. Barbara enjoyed the architecture of the area and the conversion of many of the old warehouses into shops, studios, and apartments. Mary Jane, with Barbara in tow, started out on our second day of adventure in Sydney looking for a solution to my Internet problems. 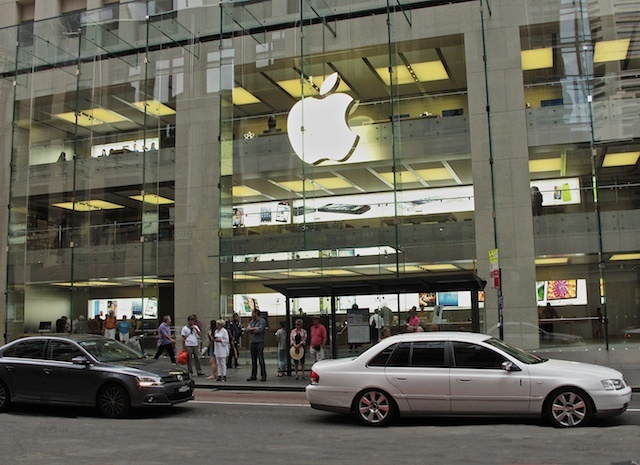 From the shuttle bus drop off point we walked down George Street several blocks until we spotted our destination – the Apple Store – with a huge apple displayed on the multi-story building. The store greeter sent us to the second story for help with the problem. A glass staircase transported us up a level and ultimately one of the associates shared with MJ information about a Telestra dongle – mobile Wi-Fi device, which now has her smiling from ear to ear. 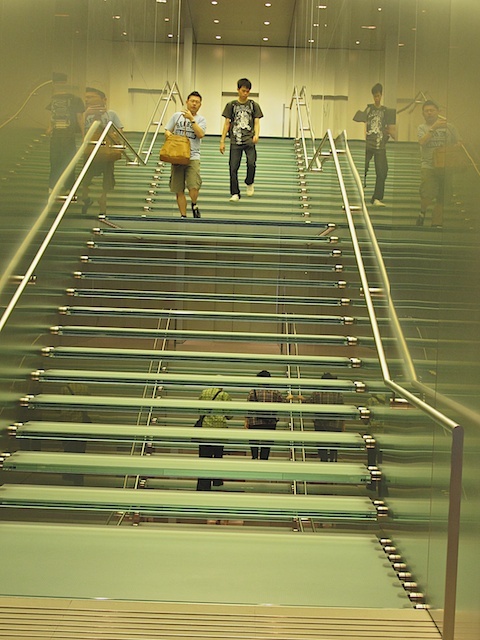 Coming down the glass staircase was trickier than going up as you kept having the illusion you were floating on air. We started out again on our planned adventure when Mother Nature proceeded to open up the sky with a downpour, which sent us scurrying into Dymocks – a giant bookstore that reminded us of the large Barnes and Noble stores in the United States. 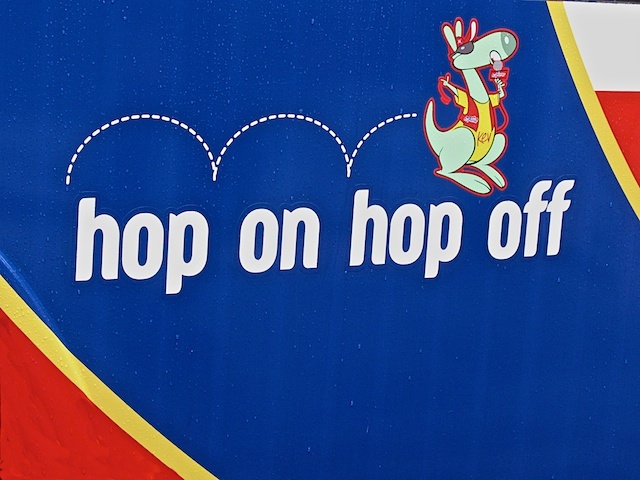 Luckily, we emerged without maxing out our credit cards, however, it was still raining, and finding the next hop-on hop off stop took much too much time. But we finally caught one. We took a short ride and then got off to catch another bus to take us today on a secondary route from the one we took yesterday. But alas, after waiting for about 45 minutes we aborted that idea in favor of retracing part of the route we had taken the day before. 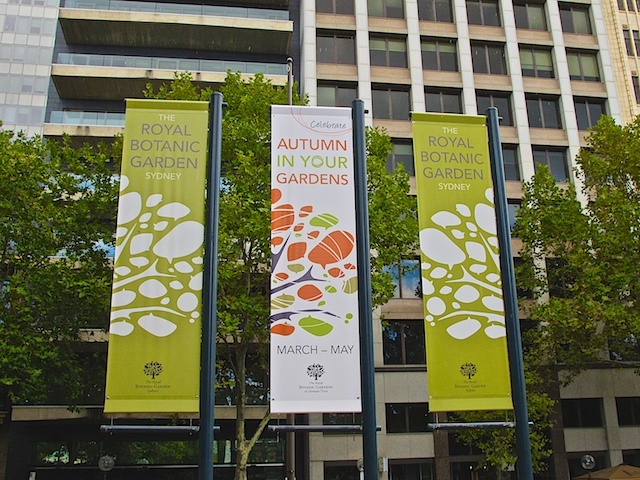 We did get off at the Botanic Gardens for a few minutes of walking around before having to heading back to the ship. 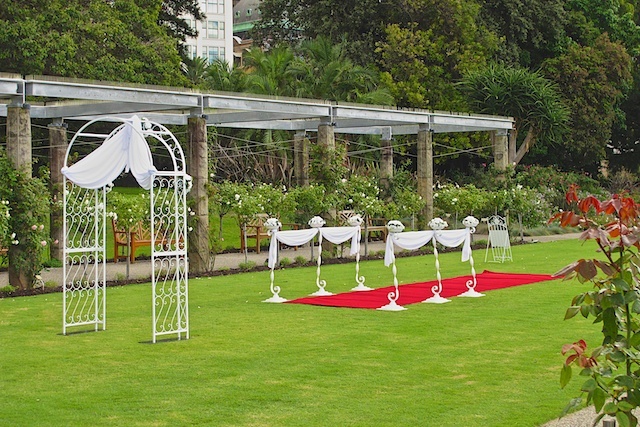 The Botanical Gardens are a beautiful place to hold a wedding! 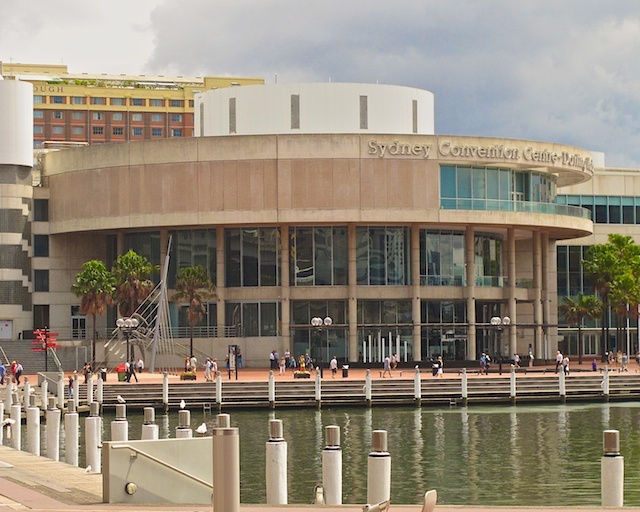 We walked to the shuttle bus at the Marriott and rode back to the ship, feeling very happy about our two days touring Sydney, but with a long list of things to do next time we return. Thank you for detailed descriptions of the wonderful sights my bucket list just keeps growing and growing with must do travel.